DataTrust has been delivering Voice Recognition Solutions right back to the days of IBM Via Voice etc., in the mid 90’s. 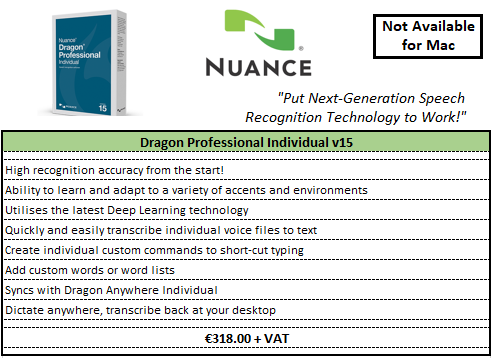 When we say that Nuance has an incredibly powerful Voice Recognition Product Range – we certainly know what we’re talking about! – We’ve seen the developments all along! Nowadays the product is more often left down by wrong use and hardware difficulties than there being an actual problem with the product itself. Due to the nature of the products we would always strongly encourage our customers to work with the solution for 30 Days to achieve the results that the product is capable of. Accordingly, the Nuance Product itself does not have a 30-Day Trial Version but does come with a 30-Day Money Back Guarantee. We’ve never had anybody return the product – it simply “Does What It Say on the Tin”. We would always advise, however, that it is not a Product that you Open, Install and Use – Training is Key. We have come across real silly reasons for the Nuance not performing optimally e.g. USB Port too near the Ethernet Port on a Machine. Electro-Magnetic Interference causing poor results. The User not understanding the Concept of the User Profile being grounded on a Particular Dictation Source and changing microphones without re-configuring Dragon Naturally Speaking. A lot of Microphones are now Voice Cancelling and have a particular Orientation for use. ( Dictating with the White Dot towards you. ) User not realising this. Poor Quality Sound Cards. Up until this there was never really a compelling reason to put a high Quality Sound Card in a Business PC. 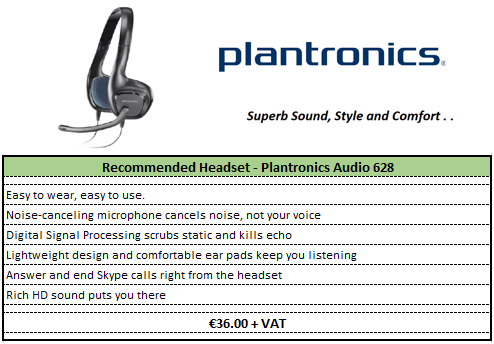 The Wired Edition comes with a Line In Headset which you can plug directly into your sound card. 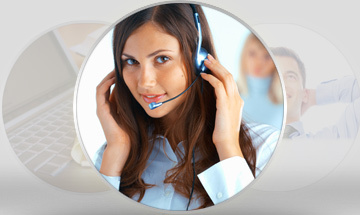 Most computer desktop & laptop computers do not have 'NaturallySpeaking compatible' soundcards installed onto them. This results in poor accuracy & command recognition when using speech recognition software. You can actually cross reference your Hardware with the Nuance Hardware Compatibility List at http://support.nuance.com/compatibility/default.asp to see how the sound cards in your PCs rate. If your soundcards rate poorly and consequently you problems with Nuance , we would recommended a USB Soundcard Adapter. It is easy to install (plug & play with Windows 2000 & Windows XP) & produces a high quality audio signal resulting in superior accuracy & speed. Please bear this in mind, when using the Wired Version. Generally you can source a USB Soundcard Adapter for around €20 - €25. If you have difficulty, we can supply you with these. 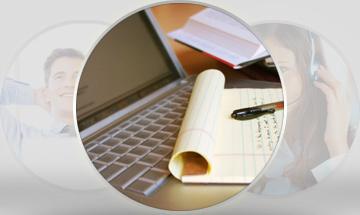 Our definition of success is when a solution is achieved that delivers to Customer’s Expectations completely. 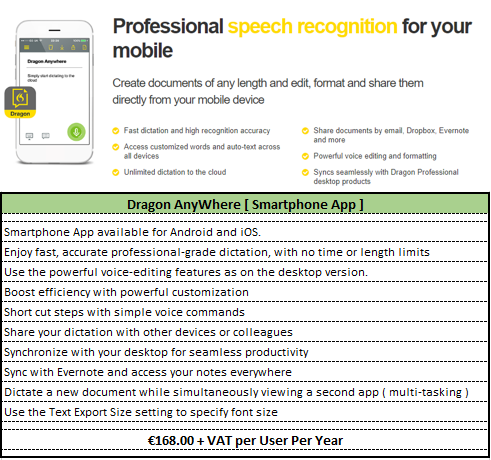 Digital Voice Recognition has suffered a lot of Bad Press here in Ireland in the last 10-15 years; in the early days this, in the most part, was well founded. In more recent times Digital Voice Recognition’s reputation has suffered due to attempts to sell it as an “off the shelf” product. We, at DataTrust, doubt that Voice Recognition products will be a success when sold “off the shelf”. Allowing Network Install to a Shared Network Installation using the enclosed Network Tools Function. Allow use of Roaming Profiles for Users of DNS on the Network – not too different to Roaming Profiles in Windows. Allow creation of Macros and Scripting to automate repetitive tasks. Differences between User Profile Capabilities e.g. Add new Dictation Sources to existing profile. Please call DataTrust today and let us discuss making Working Speech Recognition a Reality for You.